With our iBreath Respiratory Trainer you will be able to train your respiratory muscles, to conduct daily home breathing exercises that will give you quick breathing benefits as well as long term benefits. With respiratory muscle training you will be able to exercise and enhance the chest expansion capacity to provide larger lung capacity, to improve performance, to reduce fatigue and to increase endurance. Suffering from Asthma, COPD, maybe congestive heart failure? improving breathing endurance and strength will be very beneficial for you. With our outstanding breathing exercise device you'll be able to improve your tidal volume, to increase the flow of air into your lungs, to be able to remove more CO2 and to improve the sympthoms of hypoxia that will relieve your breathing difficulties. Breathing exercises for COPD , at home, had never been easier ! Our iBreath Respiratory Trainer will strengthen your respiratory muscles using adjustable load training to help you breath easier, feel better, improve athletic performance and your daily living activities. Our lung trainer intends to provide a solution for anyone who wishes to improve the strength of his/her respiratory muscles, both for healthy individuals and for individuals with medical conditions. It is a proven fact that a pulmonary rehabilitation benefits both physical and emotional health. Our respiratory trainer is by far the best model that will provide you inhale and exhale muscle training. ► better coping skills for day to day activities. ► will contribute to a fewer visits to the emergency room, and less need for hospitalization. 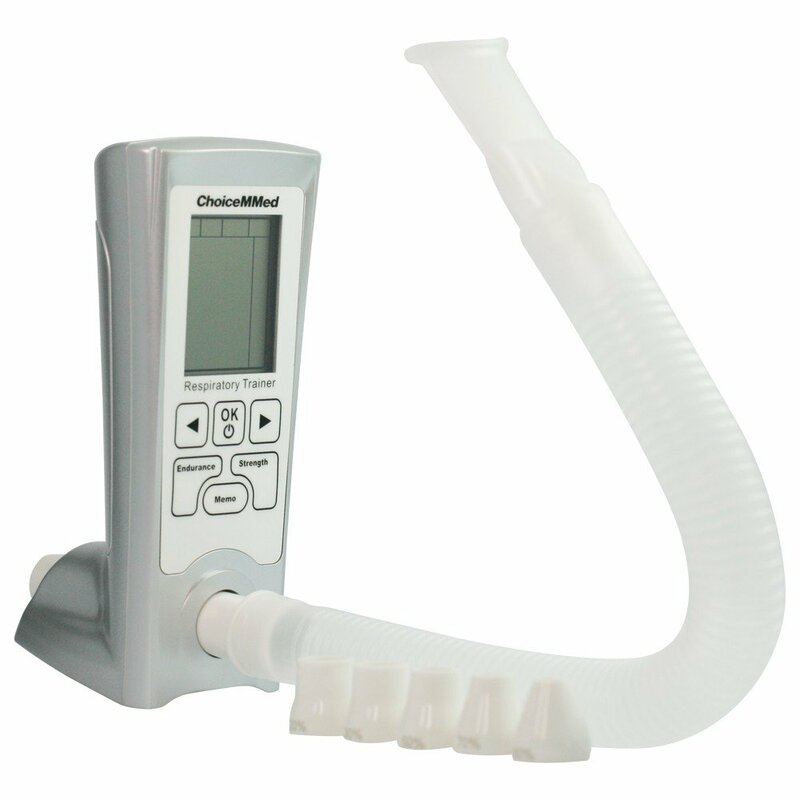 To whom in the medical care and health care segment does the breathing exercise device LT350 is suitable? Great for Asthma patients, very good for those who use oxygen therapy in Cyprus, Europe and the Mediteranean area, for those who suffer from obstructive sleep apnea or OSAS, for those who were diagnosed with COPD (chronic obstructive pulmonary disease), for snorers, and for those who suffer from chronic heart failure. Very important for smokers, for seniors and for drivers. Within the sport fitness and stage performance, we have clinets who are mountain climbing, jogging, cycling, martial arts, body builders, those that do triathlon, diving and swimming and those that practice Yoga. Respiratory muscle training is the most easily overlooked part in physical training. Athletes usually are not able to continue challenging their limits because of breathless. Studies have proved that regualr and targeted training can improve the endurance of respiratory muscles. Other users that can benefit from the iBreath LT350 Breathing Exercises Device by P-MediCyp Ltd are singers, lectures, dancers, Drama players and wind instrument players. Good breathing plays a very important factor for the best performance of the people who work within the performing art , as mentioned above.